Given that previous performers in the role have included the likes of Barbara Dickson, Petula Clark, Carole King and four of the Nolan Sisters, it is no small tribute for Lyn Paul to be voted as “the definitive Mrs Johnston” in Willy Russell`s enduring musical Blood Brothers. The former New Seekers singer`s claim doesn`t rely on longevity, either, despite first appearing in the West End`s third longest-running show 20 years ago. For here she is again at the start of a 10-month Bill Kenwright regional tour, bringing compassion, dignity and a commanding echo chamber voice to the mother who has to bear the consequences of giving away one of her babies at birth. 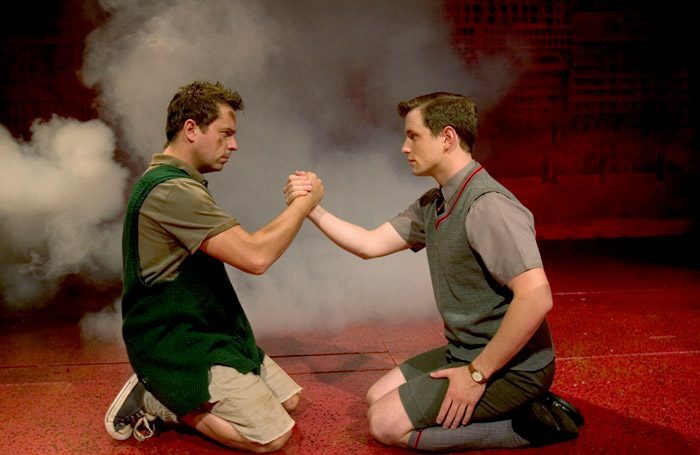 With society changing so rapidly, it is wholly remarkable (indeed slightly depressing) that the dramatic strengths of Blood Brothers remain so telling today. Russell`s narrative of twins brought up on opposite sides of the track explores poverty, class divides, teenage anxieties and middle-aged remorse, against a compelling score of worldly-wise songs. One or two of the scenes, notably the street gang rough-and-tumbles, have lost some of their original natural feel. However, Sean Jones (Mickey), Mark Hutchinson (Eddie) and Alison Crawford (Linda) are particularly adept at conveying the childlike aspect of their roles, even when they have reached adulthood. Dean Chisnall makes a suave yet sinister Narrator (a part once played by world light-heavyweight boxing champion John Conteh), and designer Andy Walmsley`s familiar Liverpool skyline provides an evocative setting not seen in early productions.